Redevelopment of Portsmouth's city centre will create myriad opportunities for the city's residents, according to Portsmouth City Council Leader Councillor Donna Jones. Last week, Portsmouth City Council unveiled ambitious plans for the city's future growth as a consultation began on road scheme expected to be the catalyst for the regeneration. Realigning the main route into the city centre will allow easy access to the whole of the area and open up a number of sites for future development by the private sector with the potential for around £500 million of investment to come into Portsmouth. Residents would benefit from a minimum of 1,600 homes currently anticipated to be built in the city centre, with the potential for this to increase by an extra 1,000 as plans develop. As part of a mix of homes, new office space, retail, and leisure developments, residents could also benefit from the creation up to 9,600 new permanent jobs. 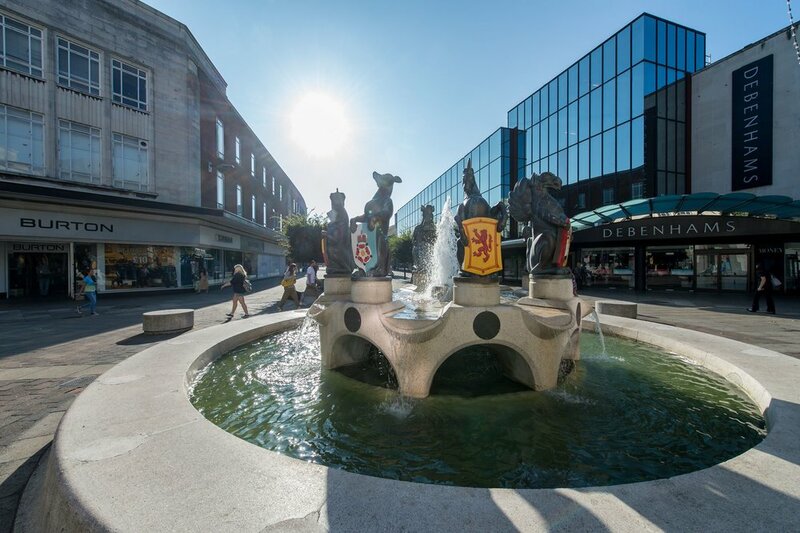 Councillor Jones said: “There's been much talk about the exciting opportunities created by our aspirations for the city centre but a lot of people don't realise how it will benefit the average resident. "As well as shops and leisure facilities the new developments will include office space. This will encourage new businesses to the area and generate thousands of jobs local people can benefit from. “There will also be fantastic new homes, in recent year's Portsmouth's new high-rise buildings have been student accommodation but these would be available to the city's residents. "Even if people don't want to live or work in the city centre they stand to benefit because private sector money will regenerate the area and the council will make millions from new business rates and council tax income. “This money benefits the whole city as it can be used to support services the community values." The road project is expected to cost around £60 million, and the council are expecting to pay for around a quarter of this, and are bidding for government funding for the remainder. The Portsmouth City Council-led proposals will realign the main route from the M275 to allow easy access to the whole of the city centre, and will open up a number of sites for future development. The plans are available to view on the Portsmouth City Council website, and the deadline for feedback is Thursday 2nd November.